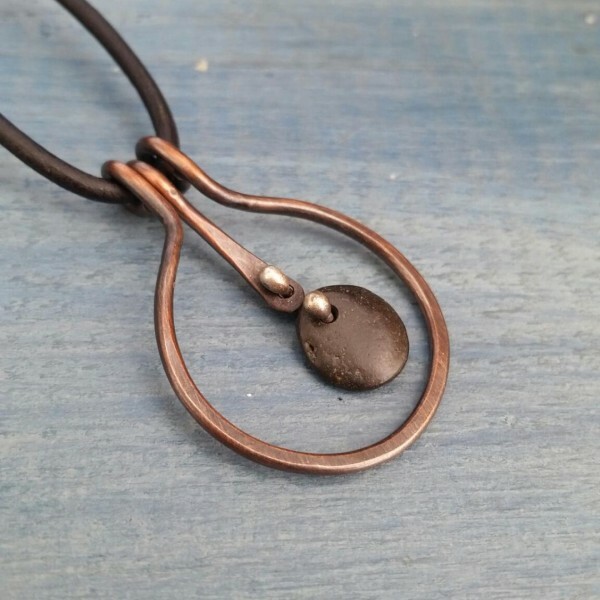 Oxidized copper and beach stone pendant. Cold connected with a sterling silver ball link. Each pendant is handforged and will be unique to you as beach stone colors and shapes will vary. Measures 1 1/4"W x 2" L. Adjustable leather cord up to 30" in length. All pieces are handcrafted by me one at a time. They may vary slightly in appearance and measurement.